9" 1 - 0 : Ward drives down the right, plays a ball inside which Schlupp takes in his strike before driving past Sanchez into the Spurs area. Schlupp'S shot across goal is parried by Gazzaniga into the path of Wickham, who has the simple task of converting the rebound. VAR is consulted to check Wickham was onside, and the goal is allowed to stand. What a start for Palace! Crystal Palace FC : Speroni (7), Ward (7), Kelly (7), Dann (7), Van Aanholt (7), Meyer (7), Kouyate (6), Schlupp (7), Townsend (7), Zaha (6), Wickham (7). Subs: Milivojevic (n/a), Benteke (5), Ayew (n/a). Tottenham Hotspur FC : Gazzaniga (5), Trippier (5), Sanchez (5), Foyth (6), Vertonghen (5), Walker-Peters (5), Dier (5), Skipp (6), Nkoudou (5), Lucas (6), Llorente (6). Subs: Wanyama (5), Lamela (6), Sterling (n/a). Man Of The Match : Andros Townsend. 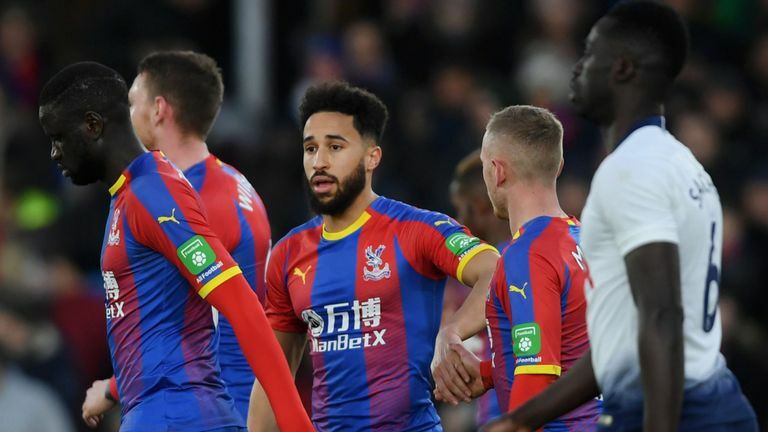 Crystal Palace have reached the FA Cup fifth round for the first time since the 2015-16 season, when they went on to reach the final. Spurs have lost three of their last four games in all competitions - as many as in their previous 22 games combined. 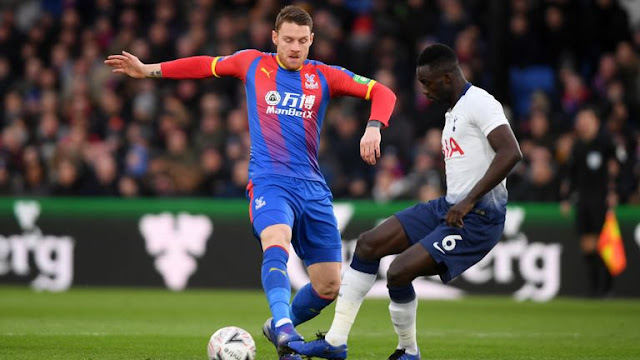 Crystal Palace forward Connor Wickham scored his first goal since November 2016, when he netted against Manchester City for the Eagles - 799 days ago. Andros Townsend's last two FA Cup goals have been penalties scored in the fourth round - in 2014-15 for Spurs against Leicester and today for Crystal Palace against Spurs. 26 of the last 28 teams to eliminate Spurs from the FA Cup have been in the top-flight (Leicester in 2005-06 and Leeds in 2012-13 the exceptions). Spurs have only failed to score in two of their last 21 FA Cup matches - both against Crystal Palace (0-1 in February 2016, 0-2 today). Spurs are looking to reach the FA Cup fifth round for a fourth consecutive season for the first time since doing so for five seasons in a row between 1978-79 and 1982-83. Since winning the competition in 1991, 25 of the 27 teams to knock Spurs out of the FA Cup have been in the top-flight, with the exceptions of Leicester City in 2005-06 and Leeds United in 2012-13.